To study life on our planet, you have to know what's out there. That means, going to remote places and searching for plants and animals, to discover what's living there and how those things live together. That's exactly what a team from the Royal BC Museum in Victoria, British Columbia did this summer. They, along with freelance science and environmental journalist Molly Segal, set out for the BC back-country. 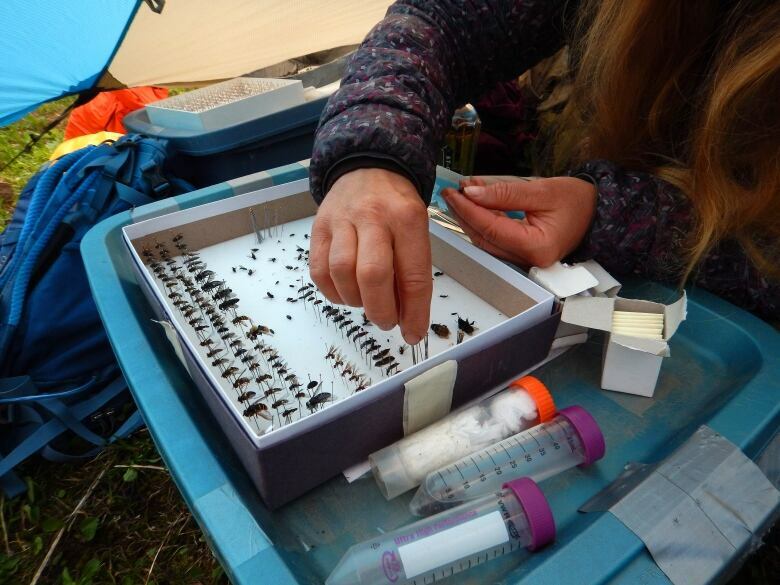 Their objective was to take stock of the various species living on Mount Whitford in the Hart Mountain Range in a remote eastern part of British Columbia accessible only by helicopter. 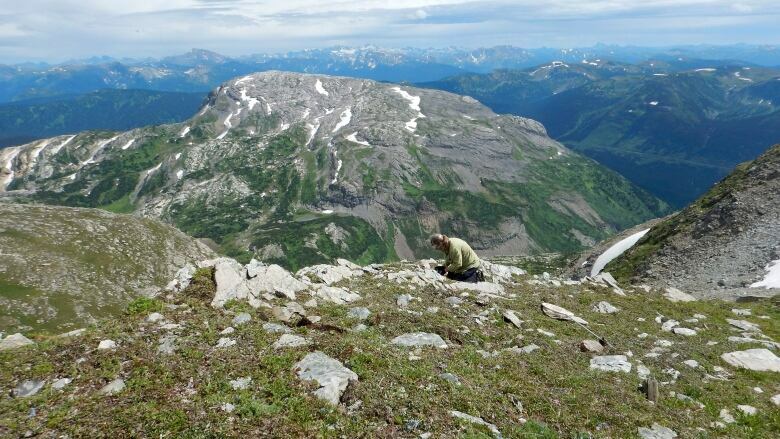 Botanist Ken Marr says there's a lot we don't know about the distribution of plants in British Columbia, especially in remote alpine regions. "We're dozens of kilometres away from where anyone else has made what we call a 'comprehensive collection.' So it's just part of documenting the life in the province and looking for patterns on the landscape," said Marr. "Once you start looking more and more, you find that some plants that were thought to be rare — aren't so rare — and some plants are thought to be rare really — are rare, but you can only make that judgment call if you've gone to as many places as as you can reach." On a similar expedition in 2017, these scientists added more than a dozen species to the British Columbia list and even discovered four species new to science. "On average since we started in 2008, about 20 new records every every year to the B.C. list," said arachnologist Robb Bennett. "And we get new records (...) never before seen in Canada and never before seen in North America." Bennett collects a tiny spider about 2 millimetres long, which he collects and drops into a vial of ethanol. Once they get back to Victoria, he'll send that spider and some of the other specimens the team discovered on this trip to a genetics lab to determine if it's a new species. Then it'll get stored in the Royal BC Museum's collection, so that one day, it could be resurrected by a curious scientist doing some research. "So we do the baseline inventory and then eventually we get that stuff worked out and then we can start asking ecological questions," said Bennett. Each field expedition helps capture a picture of an ecosystem at a place in time. And after a while, those snapshots start to tell stories. "You don't know what questions will be asking from the specimens a 100 years from now, 200 years from now," said Claudia Copley, the manager of the museum's entomology collection. "So we collect for the future and the specimen provides proof the particular animal was in a place at a certain time. And it really forms the foundation for the conservation work that people do." In this remote meadow up on Mount Whitford, there are large patches of snow and ice mixed among the wild flowers. That snow and ice are important to the ecosystem, but are quickly disappearing. 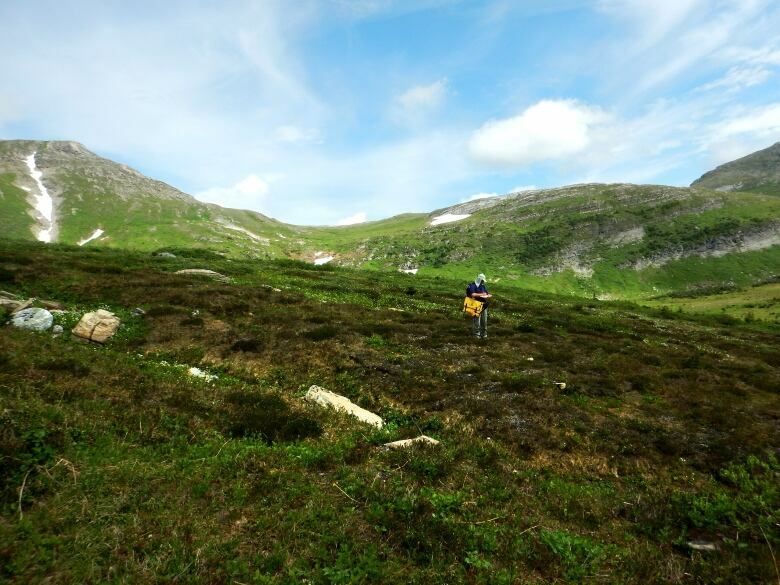 Climate change is a major threat to northern alpine areas like this one. It's one of the reasons the scientists are so eager to get a snapshot of these ecosystems — because they might soon be gone. "The species occur at these elevations are adapted for these cold temperatures. And if they live at the top of the cold mountain now there's nowhere left for them to go when the climate around them warms up," said Copley. "So they won't have options in terms of their future. And they can't just move to a more suitable habitat because they're there trapped in those high high elevations that are only available in certain places. And British Columbia has got a lot of high places, but they're the most severely affected in our province by climate change." "And so there really will be potentially loss of species and we don't know which ones and we don't know how many," said Copley. Without doing this kind of baseline work, we may never know what we could lose.